Welcome to DISH Network's 3D Site! 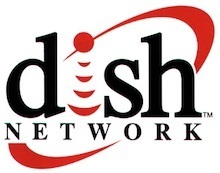 Look for DISH 3D announcements later this year. Check back for more information and updates about the 3D home experience. Q: Is a 3D TV also an HDTV? A: Yes, a 3D television is essentially an enhanced high-definition television with the capacity to display 3D programming. Q: Where can I see a 3D HDTV? A: Many major electronic retail stores including Sears, Ultimate Electronics and Best Buy have 3D HDTV demonstration booths. Sony Style stores also have 3D HDTV demonstrations. Q: What components are necessary for a customer to enjoy the 3D experience?Where can I see a 3D HDTV? A: 3D content, a 3D HDTV, 3D glasses, and appropriate 3D cabling are required. Q: How much do 3D HDTVs cost? Q: How much do 3D glasses cost? A: 3D glasses tend to be around $150 per pair at stores. Q: Can I watch up-converted 2D programs in 3D? A: As of now, it depends on which TV manufacturer you choose. Some have announced that their 3D-ready HDTVs can convert 2D content into 3D, while others are not making that claim yet. There is still an open question about how good the "2D to 3D" conversion will look on these initial HDTVs. Q: What 3D programming or content is already available? A: Some 3D Blu-ray Discs™ are currently available. National Geographic released Sea Monsters in 3D. Samsung released a 3D starter kit which includes Monsters vs. Aliens and two pairs of active shutter 3D glasses (the glasses will only work with Samsung 3D-ready HDTVs). Fox Home Entertainment has announced plans to release Ice Age: Dawn of the Dinosaurs as part of Panasonic 3D-ready HDTV bundles within the next month. Disney's first release is scheduled to be A Christmas Carol sometime later this year. And ESPN, Discovery, Sony, and IMAX have announced possible 3D channel content. A: No. According to the College of Optometrists in Vision Development, nearly one million people in the U.S. suffer from a condition called stereo blindness, which prevents them from perceiving the intended depth of a 3D experience. And some people who watch 3D HDTV initially experience some motion sickness as they become adjusted to the screen. Other symptoms include headaches and eye fatigue. ©Copyright 2010, DISH Network L.L.C., all rights reserved.